These are the final few hours of 2015 and 'OH BOY', am I excited!! So much happened this 2015, from me loosing my amazing grandfather to me being able to travel all the way to Brazil for work. We all have our ups and downs, it's all about keeping your head up and surrounding yourself with people who will lift you higher. On NYE I'll be celebrating another year of blessings, life and experiences with you, all of you! You've all been such an important part of NYTM and I truly can't thank you enough for supporting me and my dreams. THANK YOU! Overall, this year has been such a learning experience and I cannot wait to see what 2016 has in store for me and this platform. Estas son las ultimas horas finales de 2015 y estoy tan emocionada! Tanto sucedió este 2015, de yo perder mi abuelo increíble a poder viajar a Brasil para trabajar. Todos tenemos nuestros altibajos, es todo acerca de mantener la cabeza arriba y rodearse de personas que van a levantarte lo más alto. En esta celebración de nuevo año voy a estar celebrando un año más de bendiciónes, de vida y experiencias con ustedes. Todos ustedes han sido una parte tan importante de NYTM y yo realmente no puedo agradecerles lo suficiente por apoyarme a mí y mis sueños. ¡GRACIAS! En general, este año ha sido una experiencia de aprendizaje y no puedo esperar a ver lo que 2016 tiene reservado para mí y esta plataforma. I had a pretty quite weekend, how was yours? I spent mine with family which came from Dominican Republic to spend the holidays. Since the weather has been pretty decent over here in NYC, I thought it would be fun share this look with all you, Trendy Moms. If you've been following NYTM for a while, then you know how I feel about Levis. It's no surprise that it is my favorite denim brand for kids. It's a brand I'm always driven to because it's durable, warm and ultimately comfortable. 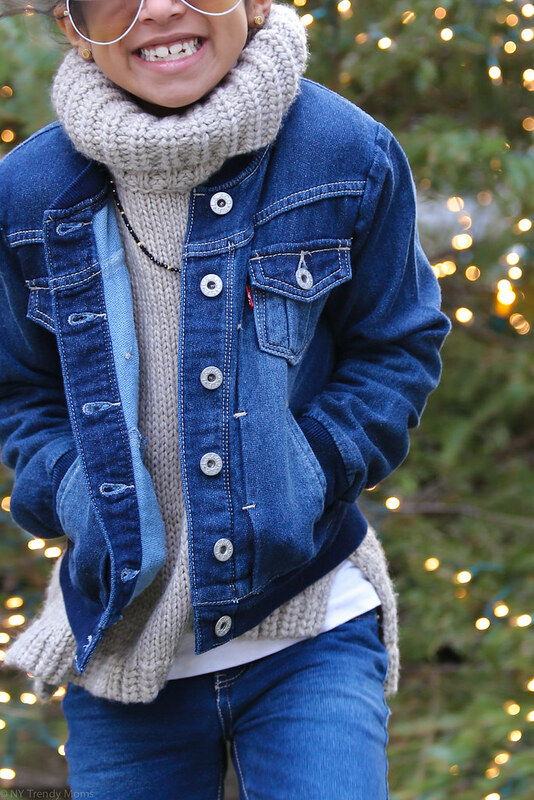 Today, I'm sharing how to style your kiddos wearing denim-on-denim featuring Levis latest styles. I hope you all had a great celebration with your loved ones. I got to spend a little quality time with my crazy Dominican family which I don't get to see often. I also got to share many special and meaningful presents with my mom, sister and brother. While all that was happening indoors, something else was happening online.. I was featured in Glamour's website!!! ekkk!!! This was such an amazing spread which caught me by surprise. I share photo-taking tips, tricks on how to make your hair look extra healthy and my current favorite lipstick. You can catch the article here. Have a great weekend loves. I wanted to pair this very casual sweatshirt with my current favorite shoes from SJP Collection (Sarah Jessica Parker) which are purrrrfect for any and every special occasion. They are satin black, pointed toe, comfortable, what else do you want? jewels on it? Well, they have that too. The necklace is from Rocksbox; a monthly subscription service which offers the latest brands accessories. If you're interested in learning more about this service visit Rocksbox.com. When/if joining be sure to enter JOHNNYBELLBFF1 to receive a free month to your subscription. I'm going to be doing a little bit of a metallic ombre smokey look today. 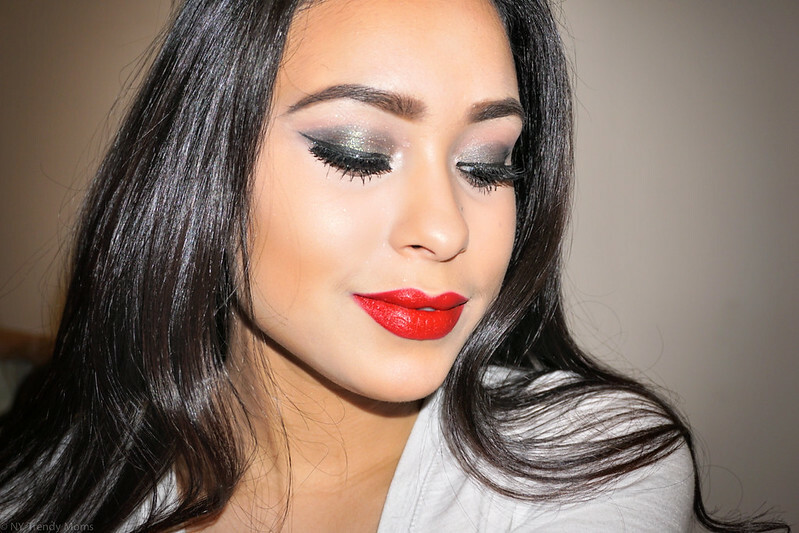 This look is perfect for any holiday parties and festive celebrations. Most of the products used can be found at Ulta Beauty. 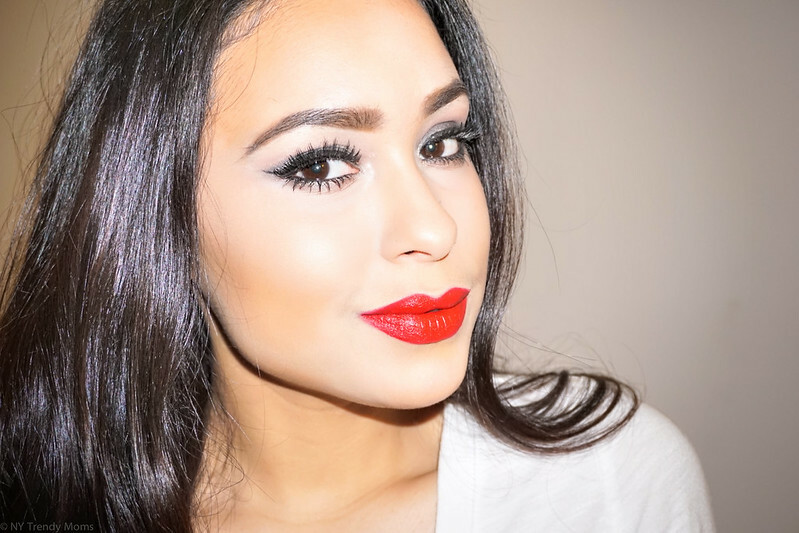 Follow along to see how you can achieve this look too. Today I'm sharing a few pieces from PS Aeropostale's latest collection. My girls had such a great time shooting this look and I really hope you all enjoy it. Happy Holidays! divirtieron mucho en este session de fotos y realmente espero que a todos les gusten. ¡Felices fiestas! & here's a little something for men who love to cook; Mantry, is a monthly subscription box of six amazing food products curated just for him. Find out more information here. P.S. Order by December 21st for guaranteed delivery by December 25th. Just a little reminder; you're able to click on the photos above to purchase the items directly from here. Happy shopping! This post is a collaboration with 6pm.com. As always all opinions are my own. Thank you for supporting the brands and collaborations that make NYTrendyMoms possible! One thing I love about shopping is finding an outfit (from head-to-toe) in one single website/store. Today I'm wearing Ralph Lauren earrings, Unique Vintage dress and coach sandals; all from 6pm.com. This is a perfect look for any Holiday party coming up. 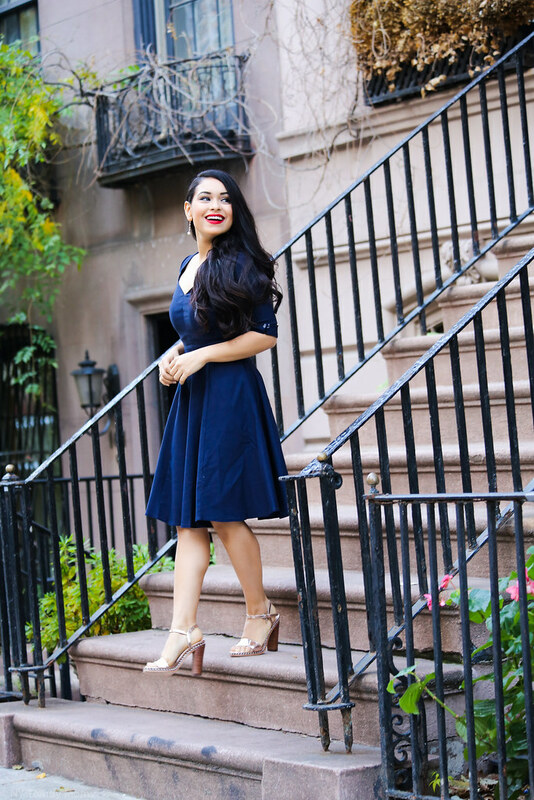 Classy dress, dainty earrings, flashy shoes and bold lip, of course! I also wanted to tell you guys about 6pm's great gift guide for under $100! Check it out here. 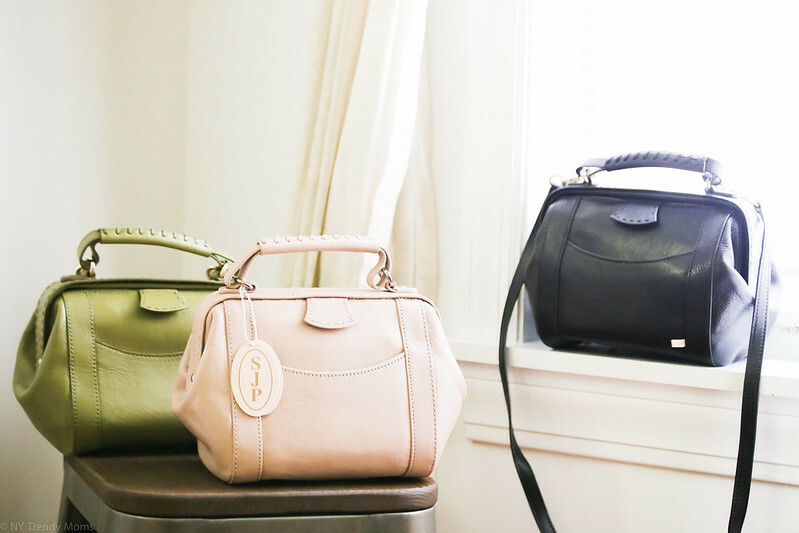 They're also having a Green Monday sale, use code PRBLOGGER2 on 12/14 for 10% off your order. I know many of you have been waiting desperately for this giveaway since I first teased you with the bags a few weeks ago on my snapchat. This is in no way a sponsored post. I simply wanted to show my wonderful readers how much I love them + it's the holidays and I prefer to give rather than receive. 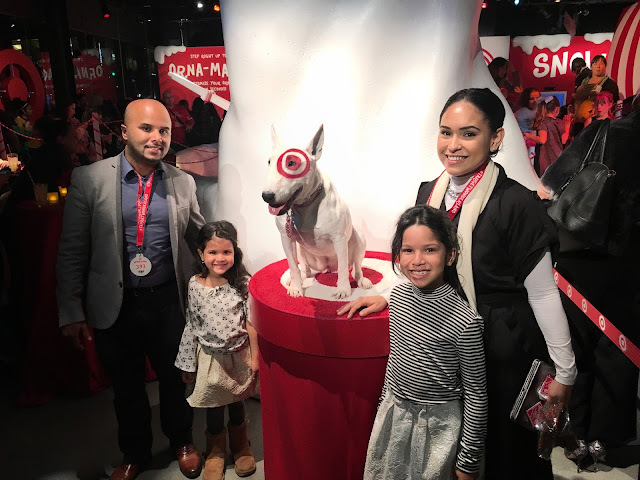 Last night my family and I attended a VIP event to unveil Target Wonderland. We had the opportunity to play with a few popular toys as well as shop for the whole family. I ended up buying Leanne a Disney Frozen Elsa Ice Palace (which hasn't hit stores yet). She was so happy when she saw Santa drop the box down the chimney. Today I'm going to show you how you can style your child with a few pieces from The Children's Place holiday collection and take those pieces from day to night. Starting with this glittery clutch and glittery oxford shoes.